Thomas Hardy B.C.L., L.L.M. • James Wallace B.C.L., T.M.I.T.I. Welcome. With dedicated hardworking support staff, some who have worked in the practice for over 15 years, our clients are assured of experience and continuity of service. The firm’s partners carry on a traditional practice including the goodwill and clients of former practices which back to before the foundation of the State. Efficient and cost effective. Our practice is dedicated to suit the needs of today's business providing our clients with a modern and highly efficient quality service. If there is any matters on which you need friendly legal advice, please contact us by phone,email or attend at our office. When you contact us you will get a response within 24 hours. 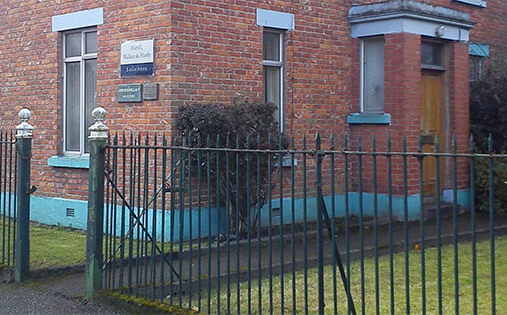 Citizens Information Centre located at 4 Adelphi Court, Longwalk, Dundalk (beside the Bus Station) provides a valuable service to the local community with information on many matters of interest and it has been providing this service for many years. From Monday the 4th of March 2013 to Thursday the 7th of March 2013 between 5.30 p.m. and 6.30 p.m. you can avail of an additional free service. During those times local Solicitors will attend at the centre to take part in Make a Will Free Week. You can give instructions to a Solicitor on your last Will and Testatment and he will draft the Will for you over the following days. You can then sign this Will to make clear your last wishes and it will have legal effect. And all of this service for that period only is provided without any costs to the customer. It is important that each adult give some consideration to his / her affairs as they stand after his / her death. This is not something many of us wish to think about. But there are significatn savings and tax advantages in ordering your affairs in a particular way. It can also provide some comfort to know you have made a clear decision and a definite plan on those matters. It can also avoid dispute or ill feeling. Indeed it is often a comfort to those greiving a deceased person to know his / her wishes are being followed. So make a date for your diary for the Make a Will Free Week. 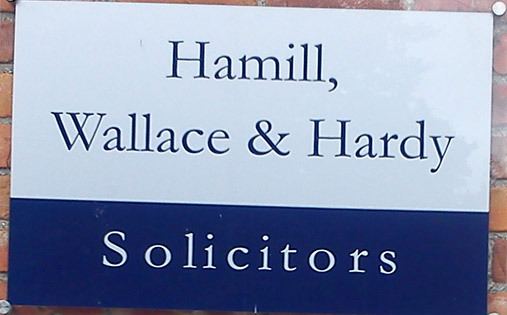 Hamill, Wallace & Hardy are happy to be associated with this initiative and both of our partners Jim Wallace & Tom Hardy will be participating in the scheme. We offer a wide range of services to individuals and businesses. A personal service is guaranteed. We pride ourselves on offering efficient and cost effective services to our clients. Whatever you want.